When you imagine a party, you automatically think of comfort and design. Both of these elements can be well captured in the furniture you provide for your guests. No party is complete without a sense of style and décor that lends itself well to the type of event you are throwing and the atmosphere you wish to create. The furniture that your guests enjoy should be just as much a part of the planning process as the food, drinks, entertainment and activities. By creating an environment and mood for your event, you engage your guests and transport them to a luxurious, relaxing, and exciting moment where they can immerse themselves in fun for a night. Depending on the vibe you wish to create for the event, there are unlimited furniture options that can accommodate your needs well. Here are some of the available options in furniture and décor that will help make your event a special standout from the rest. A cocktail night is a great excuse to transform a venue into a swanky lounge where your guests can relax and enjoy the guests and scenery as if they were in an expensive nightclub. Creating a lounge environment is made easy with our scoop stools, leather sofas, and high-back chairs. The seating alone adds an element of true luxury and taste without sacrificing comfort and relaxation for your guests. 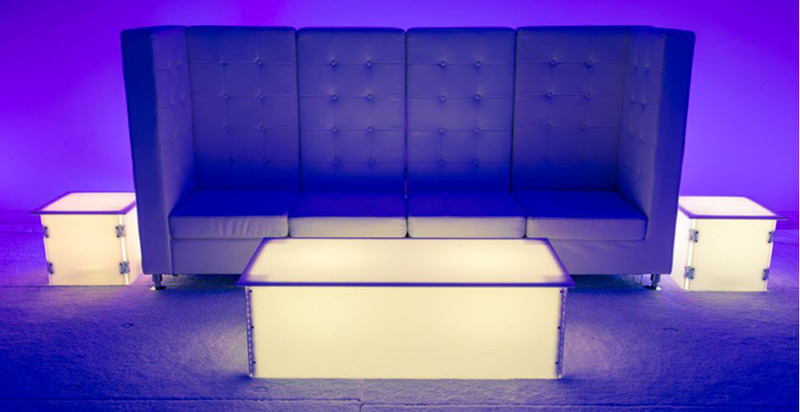 Additionally, cocktail tables of all shapes and sizes and customized bars further enhance the lounge concept; however, your guests don’t need to be over 21 to enjoy the atmosphere—these furniture options are also a great way to make your teen feel a little older for the night for a birthday or bat mitzvah occasion. Many party planners underestimate the significance of setting the mood via lighting and accentuating details. By including LED lighting to up-light curtains and partitions, your event venue can be transformed into a nightclub or swanky dinner. These details add excitement to what would otherwise be boring tablecloths and curtains. Available in a range of different colors, LED lighting can create an epic dance floor or a luxurious dinner table, and add to the overall theme of a party with subtle, but significant detail. Themed parties never go out of style, and celebrity and stardom don’t either. Red carpet motifs are a perfect addition to an event that will allow your guests to get all dolled up and feel particularly special for a night. A red carpet entrance wouldn’t be complete without a carpet stanchion, and of course, roping. Add a professional photographer and photo background, and your Hollywood night of stars is ready to go. Red carpet themed furniture and details will help immerse guests of all ages into stardom for an evening and make your event a truly special occasion. Another way to enhance any event is with high-tech décor options. Including lighting is a great way to enhance the atmosphere, but the addition of plasma, LED, or LCD screens throughout your event will increase the luxury of the evening all together. Perfect for sports-themed parties, these screens are available in a range of sizes and can be programmed to display various sporting events, games, or slideshows all around the venue. High-tech décor such as simple TV screens and custom gobos for extra party personalization gives event planners a way to engage guests further and add to the excitement of activities and games throughout the evening. 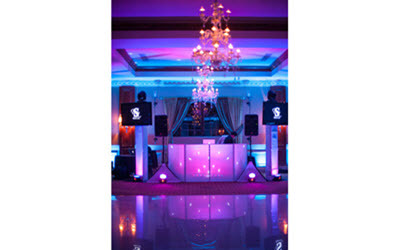 For years, Creative Event Services has been planning stellar events for clients near the areas of Boston, Hartford, and New York. Our inventory includes incredible furniture, games, interactive décor, and customizable elements that make events truly special and unique for our clientele. Furthermore, our staff of experts work with every client individually to help transform a venue into the exact atmosphere they wish to create. Certain furniture can make your event truly special, and there are other ways to make your party an outstanding event that your guests will be excited to attend and speak of for years to come. If you need help planning your event, including finding special furniture, games, or entertainment, contact us to speak to a professional for more information. We look forward to helping make your dream of a perfect event a creative reality.